The house of Fabergé is old. By the early 20th century, both the name and the creations associated with it resided at the highest tier of luxury artisanship. The fabulous Fabergé Eggs became cultural and mythical icons, justly famed as objets d’art, but even more so for the stories that lived within them. The house of Fabergé is also new. 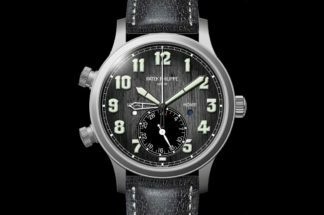 Its 21st-century horological revival may be in its infancy, but is already crowned with critical acclaim, and its works characterized by creative partnerships with some of the most talented artists and innovators today. When describing something that is both old and new, the word most frequently used is “timeless”, which seems particularly poignant when the thing in question happens to be a watch. However, if there’s one thing that the timepieces of Fabergé have in common with their ovoid ancestors, it’s the quality of the stories they tell. And as we all know, the best stories are the ones that retain their power and appeal through the ages, whether they are told today or a hundred years from now. Fabergé presented their first modern collection of fine watches at the 2015 edition of Baselworld, the world’s biggest watch exhibition. 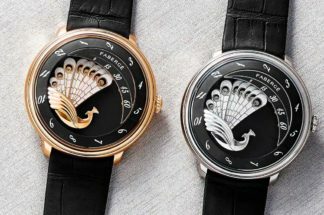 In November that same year, their Lady Compliquée Peacock overcame stiff competition from some of the most acclaimed Swiss watchmaking brands at the Grand Prix d’Horlogerie de Genève, taking the award in the Ladies’ High-Mechanical category. The following year’s Baselworld saw the launch of the Fabergé Visionnaire DTZ, which also went on to land a prize at the Grand Prix — this one in the Travel Time category. Winning in two consecutive years of the industry’s most prestigious awards event is a rare achievement. In fact, it’s probably unique, if you factor in Fabergé’s breathtakingly recent entrance to haute horlogerie. This is one of those results that probably gets frowned upon by statisticians for being way beyond the estimated curve, skewing their graphs and figures. Then again, is there any other way a brand should make its debut in fine watchmaking? After all, if you’re going to play, you may as well play to win. One of the cornerstones of Fabergé’s success is their commitment to working with only the very best external partners. Historically, their clocks housed imported Swiss movements supplied primarily by the watchmaking concern of Heinrich Moser of Schaffhausen, which had been set up in St. Petersburg since 1828 and enjoyed great repute until the revolution of 1917 forced the company directors to return to Switzerland. Fabergé’s debut collection in 2015 featured creations by two movement think tanks, both renowned for their distinctive technical style. The Visionnaire I flying tourbillon timepiece was created exclusively for Fabergé by Giulio Papi and his team at Audemars Piguet (Renaud & Papi), a company in Le Locle known for its powerhouse high complications. The Lady Compliquée Peacock was also an exclusive creation, this time by Geneva-based Agenhor, whose founder Jean-Marc Wiederrecht has a reputation for movements that are mechanically innovative and whimsical. The partnership between Fabergé and Agenhor has continued with the Visionnaire DTZ in 2016 and the new Visionnaire Chronograph, the latter generating no little buzz amongst press and aficionados at Baselworld 2017 even with the deluge of new watches being presented by hundreds of brands. Two new Fabergé collaborators were introduced this year — designer Fiona Krüger and enameler Anita Porchet, whose name is equated with exceptionally skilled work in the field of horological métiers d’art. Krüger and Porchet were involved in the Dalliance Lady Libertine III, which depicts on its dial the vivid coastal landscape of Mozambique in a palette of translucent enamel and Mozambique rubies. As its name implies, the Lady Libertine III is the result of three women coming together. Krüger handled the design, while Porchet executed the enamelling. And there is Aurélie Picaud, director of the timepieces division at Fabergé and the originator of the initial watch concept. Picaud’s previous experience in product development with two of the industry’s most successful brands today is apparent in her ability to create watches that are powerful and immediate without veering into the overt rawness that can sometimes mar a masculine timepiece. At the same time, feminine timepieces strike just the right balance of poise and charm without resorting to stereotypes of gendered watch aesthetics. Throughout the entire Fabergé collection, the same organic strength that is built into the watch movements is visually manifested through design details such as the domed dial crystals, narrow bezels and compact strap attachments. The Visionnaire case design, all tiered lugs and concentric dial decoration; the Lady Compliquée, with its retrograde surprise — these also follow in the grand Fabergé tradition of being guided by a creative mind that is much about sensitivity and intuition as technical excellence. The apex of Fabergé’s historical success in the early 20th century was characterized by input from women artist-creators such as Alma Pihl, who came from a prominent jewelry family and pioneered new jewelry techniques in some of the most conceptually and technically elaborate Fabergé Eggs. They say that behind every successful man is a woman, and maybe that’s still true, but this saying made the most sense during a time when publicly empowered women were rare. What about now, who’s behind successful women? Here’s a radical proposal — what if we don’t have to be behind one another? What if we can be beside each other? Times have changed; the way we think has changed. Shouldn’t the way we express ourselves change too? And if the watches we wear are part of that expression, then what’s our next move? If you want something that no one’s ever had, do something that no one’s ever done. The logic behind this statement is undeniable, and Fabergé are thoroughly familiar with the concept of going their own way. Their insistence on championing their external collaborators such as Anita Porchet or Jean-Marc Wiederrecht is refreshing in an industry that emphasizes in-house expertise and protectionist mindsets. There is, of course, Fabergé’s status as the only fine-watchmaking brand to have a woman in charge of the timepieces division. And then there is the genuine innovation of the Fabergé Visionnaire Chronograph. It’s not too much of an exaggeration to say that the movement of the Visionnaire Chronograph has opened an entirely new chapter on its eponymous complication. Instead of building the chronograph as a layer of additional components atop the regular timekeeping parts of the movement, the cal. 6361 literally has the chronograph module positioned at the heart of an annular base movement. Instead of a conventional system of gears, jumper springs, heart cams and return hammers — all of which perform separate aspects of chronograph function and consume energy voraciously — the cal. 6361 simplifies the entire mechanism into a layered stack of snail cams and sprung levers. 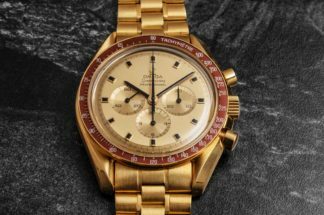 As a result of this complete re-engineering, many of the issues that had assumed to be endemic to chronograph construction — such as poor legibility, energy inefficiency and fragility — were suddenly no longer relevant. This is first-principles reasoning, the stripped back thought process that favors taking bold new approaches over iterative improvements on an existing model. Leadership today is often seen as a pragmatic retread of things that were done before, especially during volatile times when safe hands and a clear path are hoped for. True innovation requires courage and audacity, qualities that are hard to come by even during the years of stability and growth, which is why the tenacity of Fabergé in debuting exciting novelties year after year is so rare and so important. Perhaps this is what true leadership is. 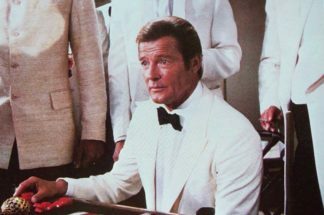 Perhaps this is the spirit you’re meant to identify with whenever you put on a Fabergé watch and make it a part of your life’s adventures. After all, what’s the point of leading us somewhere we’ve already been before? After opening up new landscapes of horological theory with the Visionnaire Chronograph and receiving affirmation of their creative mandate with various awards, what’s next for Fabergé timepieces? 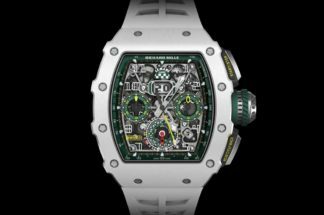 Considering how much attention and praise they have garnered up until now, it can be difficult to remember that they’ve only been in high watchmaking since 2015, which is just over two years. With their unparalleled wealth in heritage and historical legitimacy, with tremendous drive and youthful energy, you will find nothing but excitement in the ongoing ascension of Fabergé. There is a tendency towards traditionalism in all of human nature that seems particularly pronounced in mechanical watchmaking. We learn how to do things a certain way and then keep on doing it until we’re forced to learn new methods. Looking at watches such as the Fabergé Visionnaire Chronograph, watches that are not afraid to mark out new and unexplored territory, you can’t help but feel that the traditionalists must be overcome on a regular basis in order to bring real value and meaning to our daily journey through life. Or perhaps it’s not tradition itself that holds us back but an inflexible approach to it — because tradition is not a what, it is a how. The Fabergé cal. 6361 is not a traditional thing, but it is done in a traditional way, using cams and levers and springs. Heritage and innovation, hand in hand. It is not perfect, but then mechanical watches will never be perfect as long as their makers are imperfect (which is another way to say “human”). And in general, we always need new imperfections, new things to work on, new solutions to develop, otherwise we’d never leave the old problems behind, and that’s not what progress is about. At Fabergé, the foundations of their initial watch collections have just settled; we were introduced to them not long ago and are starting to become more and more familiar with each other. Visionnaire, Lady Compliquée, Dalliance — you know their names, and as their families start to grow and fill out, there will arrive one that fits your life and what you want to do with it. It could be any watch, really, just as long as you believe in it and what it stands for. Believe in the things that belong to you, like your watch. Like your story.